When the novelist and poet Thomas Hardy died 75 years ago, the executors of his will made a bonfire of his notes and private papers. They were following Hardy's instructions to make sure secret details of his life and literary works went up in smoke. But 12 volumes of notes escaped the flames. 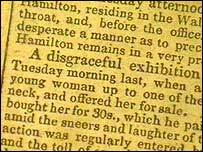 They were saved by Hardy's second wife Florence, in defiance of her husband's orders to destroy them. One of those to survive was a book teeming with information and sources on which the author based his later works of fiction. 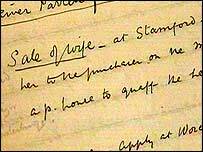 Known as the 'Facts Notebook', it has been largely forgotten since Hardy's death in 1928, but is now set to be published for the first time. Dr William Greenslade, an English lecturer at Bristol's University of the West of England, first came across the book as an undergraduate student. 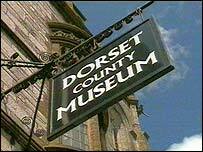 Years later, rekindling an interest in Thomas Hardy, he returned to the Dorset County Museum in Dorchester, where it was tucked away in the archives. "I first learned about the book when I was working on a dissertation in the early 1970s," he told BBC News Online. "Then in 1995, I went back to the museum and asked about it - I was surprised to discover no one had attempted to edit it in the meantime, and decided to have a go myself." 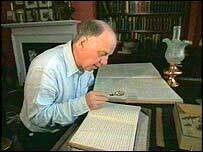 Dr Greenslade spent months pouring over the book, written in Hardy's elegantly sloping hand. And he soon realised he was looking at a highly significant historical document. "The notebook was begun in 1883, at a very important time in Hardy's life, just after he had returned to Dorset, where he grew up," he explained. "It marks a change in direction from the more romanticised tone of his earlier works to a harder, more realistic one. "He used the local newspaper, the Dorset County Chronicle from 1826 to 1829, as a source, noting down important passages in the notebook." Hardy used the newspaper to confirm stories he had heard as a child, and to give him ideas for his novels. "The papers of the 1820s featured accounts of real life in the rural past in all its juicy details," said Dr Greenslade. "There were dramatic, sensational incidents, reports of crimes and affairs, the everyday life of Dorset before Hardy was born." 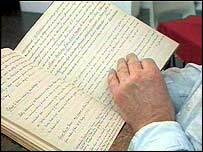 Some of the things he noted in the book were so disturbing that they only feature in the backgrounds of his novels, for fear of offending Victorian sensibilities. But other factual events were fictionalised and turned into major episodes in Hardy's work, such as the wife sale which forms the opening scene of The Mayor of Casterbridge. The story of Dr Greenslade's "rediscovery" of the book, and its importance to Hardy's life and work, is to be featured in a BBC documentary. And the book itself, a facsimile of the original including all Hardy's notes and annotations, is to be published in November by Ashgate Publishing. "It might find its way into the Christmas stockings of one or two academics, but is not likely to be in the bestseller lists, unfortunately," said Dr Greenslade. "I wish it was in a way, but for the moment it is aimed more at university libraries." 'Dead man talking - the secret notebook of Thomas Hardy' will be broadcast in the Points West region on BBC One on 27 July at 1930 BST, and nationally on BBC Two on 13 August at 1930 BST as part of Homeground.